Also, did you know that this Saturday is the 100th anniversary of Mary appearing to the children in Fatima? It’s been a favorite story of mine since I first learned about it as a child and I hope to write more about it someday. In the meantime, if you aren’t familiar with the inspiring story and Mary’s message, check it out! EWTN has a great site with all the info you could ask for here. A lot has been in the news lately regarding immigrants. From reforming legislation, to building a wall, to stricter vetting procedures, to blocking people from specific countries, there are many opinions on the issue. Regardless of where you might stand politically, as Christians we are called to welcome the stranger. To treat everyone as Christ. This certainly includes immigrants and refugees. Most of us can trace our family history back and see that at some point, our ancestors were immigrants, too. To hear the stories of immigrants, whether from history books or our own family members, whether hundreds of years ago or here and now, we know that there are many struggles they face. The next empowered Catholic woman I want you to meet in this ECW series made a huge difference in the lives of immigrants, so much so that she is the patron Saint of immigrants! Born in Italy in 1850, she spent most of her life battling health issues. In fact, when she first wished to join the religious congregation of Daughters of the Sacred Heart at just 18 years old, she was turned down for poor health. Instead, she was urged to teach at a girls school where she was quite influential. 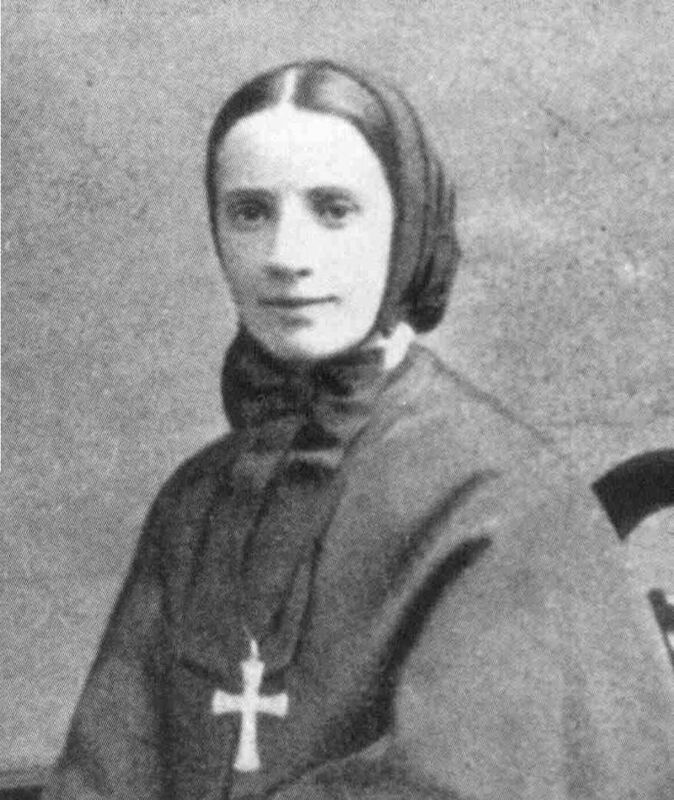 In 1877 she officially took her views becoming Mother Cabrini. She founded the Missionary Sisters of the Sacred Heart with six other women. The Missionary Sisters founded seven homes, a free school and nursery to help poor children in schools and hospitals…all in the first five years! Pope Leo XIII asked her to continue her work in New York City to help the Italian immigrants in the area in 1889. Despite facing many setbacks and even being told she should just go back to Italy, she continued on with her calling. She taught the Italian immigrants, opened homes for orphans, and founded hospitals. In fact, she founded 67 institutions including orphanages, schools, and hospitals across the United States including New York, Colorado, Philadelphia, Chicago, and Los Angeles, as well as South America and Europe. She became a citizen of the United States in 1909. In 1917 she died at the age of 67. She was canonized in 1946 and her feast day is November 13. In 1996 she was named to the National Women’s Hall of Fame. Wow! St. Frances Xavier Cabrini was not wealthy, not a celebrity, not a politician. She didn’t have much in terms of earthly possessions or worldly status, but she did have the Holy Spirit guiding her and through the Lord’s guidance she found a way to live out her calling and make a tremendous difference in the lives of countless people, particularly immigrants. She was certainly not held back by being a woman! As politics become heated and discussions on immigration become more prevalent in America, let us ask for the intercession of St. Frances Xavier Cabrini, patron saint of immigrants, to guide world leaders in making policies to help those in need, and to guide us in our own lives to follow the Lord’s call. May we see by the example of this empowered Catholic woman that there is nothing we cannot do when the Holy Spirit is working within us. The first ECW (empowered Catholic woman) I want to focus on in this series is Our Blessed Mother. She goes by many titles: Virgin Mary, Blessed Mother, Our Lady, the Immaculate Conception, Mother of God, Queen of Heaven, and many more. 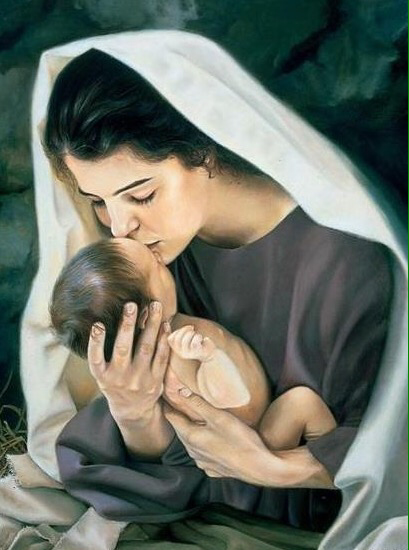 When looking at women honored and respected by the Catholic Church, you can’t get much greater than Mary. In fact, Mary is so much a part of our Catholic faith that it can be easy to take her for granted and not realize what a immense blessing she is. From the first moment we meet Mary in the Bible, we meet a strong woman who does the Lord’s will fully and without reservation. She says YES to the Lord when asked to be the mother of the Son of God, even while she does not fully understand how this will happen. (Luke 1:26-38) Being a young, unwed virgin and finding out she was with child, she certainly had reason to say no. She could have been stoned for adultery! But she trusted in God’s perfect plan for her. That’s a pretty strong woman! She visits her cousin Elizabeth who addresses her as most blessed among women. (Luke 1:42) And while Mary acknowledges that all generations will indeed call her blessed, she does not keep the praise for herself. She does not brag to Elizabeth about how she was chosen or how righteous she is. No. She is quick to give all glory and praise to God. 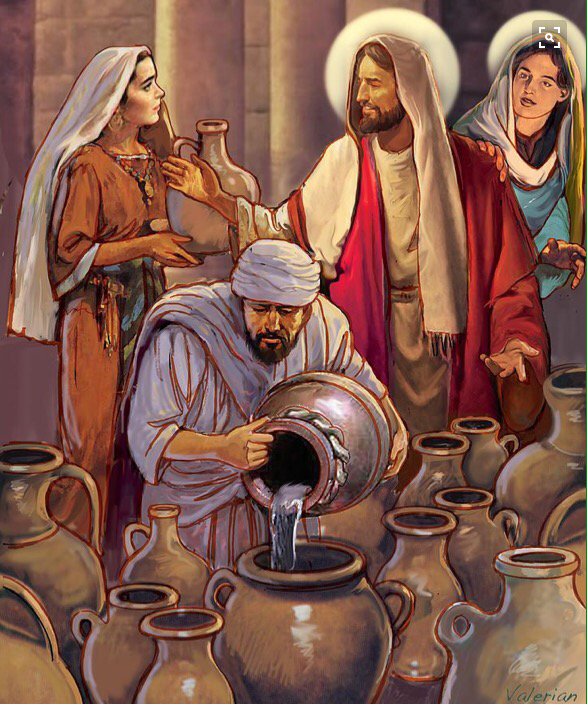 (Luke 1:46-55) And still today this is what she does. 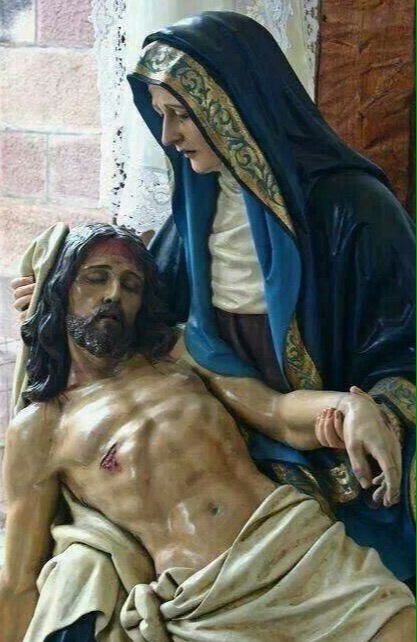 By acting as our mother, she does not take away from God but rather magnifies Him, points us toward Him and gently nudges us closer to her Son, the Savior of the world! What incredible faith! We can learn so much from Mary’s example of obedience to the Father. She said YES to have a baby, but she also said YES to every bit of suffering and every moment of joy. She knows what it is to suffer. She knows that there is pain in this world because she has lived it. 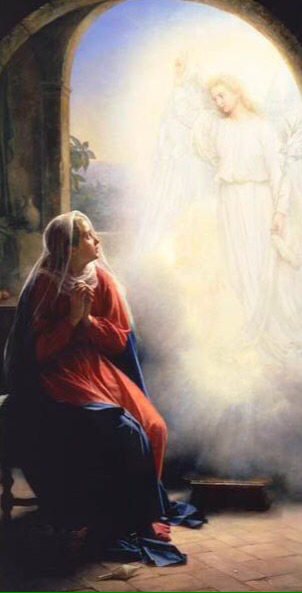 And now from her place in heaven, she hears our cries and seeks to draw us ever closer to her son, Jesus Christ. She wants to console us in our grief and sorrow by sending us into His loving, outstretched arms where she knows we will find peace. 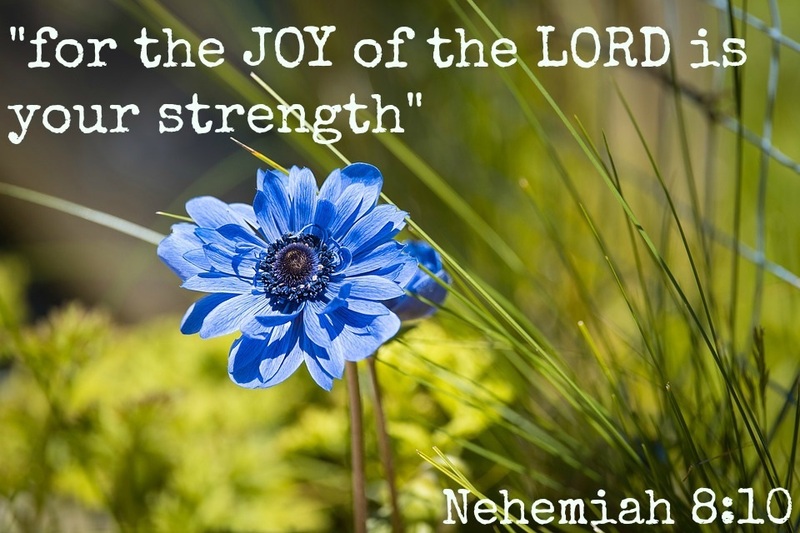 She wants to share in our joy when we see the glory of God displayed in our lives. She loves us as her children, for she is our mother. When it comes to empowered Catholic women, perhaps none was more filled with the Holy Spirit than Mary. And what a tremendous gift that we have her, not only as an example to look up to and admire, but also as an advocate for us! She is not just a distant holy woman we can read about and that’s that. She is present to us here and now through the the communion of Saints to pray for us and guide us on our faith journey. 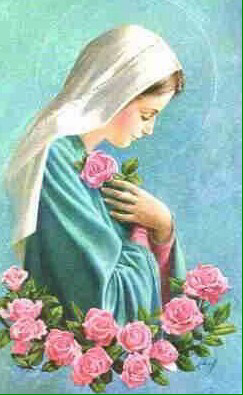 May we learn from her example to live according to God’s will for us and to accept our joys and our sufferings. And when we find ourselves struggling to do so, may we turn to her that she may intercede for us and bring us closer to God. What does it mean to be empowered? Particularly as a woman? In the months since I published my last post, mainstream media here in America has had a lot to say on the topic. With the election of Donald Trump as President, so-called champions of women’s rights and feminists have come out in full force to demonstrate the importance of women and to empower women to make a difference and be all they can be. Or at least that is the message they claim to send. But in reality, many of these groups seem to think an empowered woman is only one who thinks like them. After all, only one who supports all women’s rights, including the rights to birth control and abortion, could truly be empowered as a woman. And so conservative organizations and the Catholic Church in particular are seen to be “anti-woman.” A Church refusing to allow women priests, opposing birth control and abortion must be opposed to the success of women, right? That crazy Catholic Church just wants all the women to stay home and keep house and have babies and never contribute anything more to society…at least this is the message that seems to prevail. But let’s really think about what empowerment means. Empowerment, according to Oxford Dictionary, is “authority or power given to someone to do something.” By this definition, it seems the most empowered women would be those receiving their power and authority from the highest source. Whoever has the highest authority themselves would be able to bestow the greatest authority onto another to do great things. Of course our Lord and Savior holds the highest authority! So those who act according to His will are certainly empowered to do great things. The Catholic Church, the church that Christ Himself founded, believes this to be true also. In fact, those who follow the will of the Lord and live extraordinary lives of faithfulness are recognized by being pronounced as Saints. And sainthood is not limited to men! In fact, many of the most influential Saints in the Church were women! Catholic women who were empowered by the Holy Spirit, who used the gifts given to them by Jesus Christ who holds all authority, and who accomplished great things. Things like becoming scholars, fighting battles, founding hospitals and schools, caring for immigrants, going to places no one else would to care for the poor, the sick, and the dying. They were women who risked their lives to do the will of the Lord. Women who perhaps received little to no recognition in the secular world for their greatness, but who were instead honored by the Catholic Church. Certainly doesn’t seem very anti-woman to me! The Church shows us through these amazing women that to be empowered means embracing the gifts God has given us to do the things He calls us to. Women have special and unique gifts that allow us to do incredible things. Over the next several weeks, I’d like to highlight just a few of these inspiring women. Women who live thousands of years ago, and women from our own lifetime. Women who are mothers, teachers, scholars, and more. 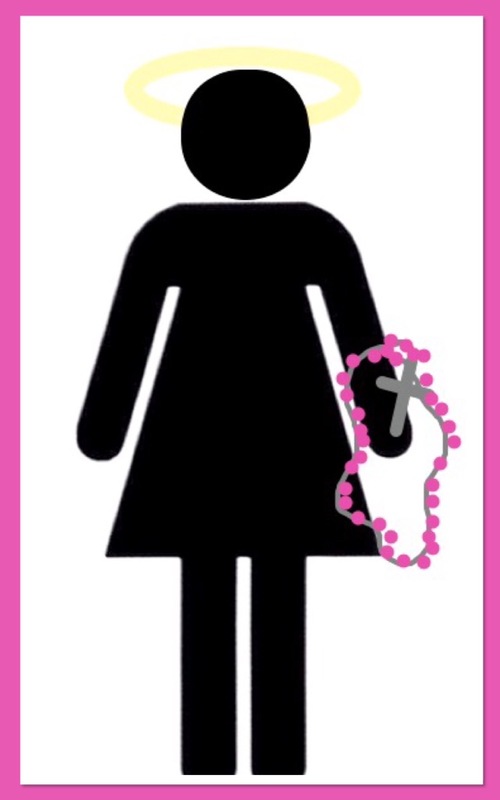 Women from various backgrounds and walks of life who had one thing in common; they were empowered Catholic women. We all face difficulties in life. Whether in our marriages, our careers, struggling with illness, financial troubles, infertility, death of a loved one, you name it. Not one of us walks through life without being touched by some sort of trial, big or small. And sometimes these troubles seem to take control of our lives. In those times when all our focus is on the troubles we face, we tend to expect a certain reaction from those around us. We want the people around us to be better at consoling us, to understand us more, to show us love in a different way. We get frustrated when they don’t have the right words to say. Or when no matter how hard they try, they just can’t understand what we are dealing with. And when we don’t find ourselves consoled “properly” by those around us, it can lead us to feel more upset. The second paragraph in the St. Francis prayer seems to me to be a cry for help in just these moments. In the times when we think to ourselves “no one understand what I am dealing with,” this prayer asks God to help us realize that, even if we ourselves don’t feel understood, we can still seek to understand the pain of those around us. If we do not feel consoled by the words of others, rather than letting it upset us more, we can pray for the grace to see others in pain and find the words to console them. It is a prayer that takes our attention away from our own struggles and instead redirects the focus to those around us who are in need. 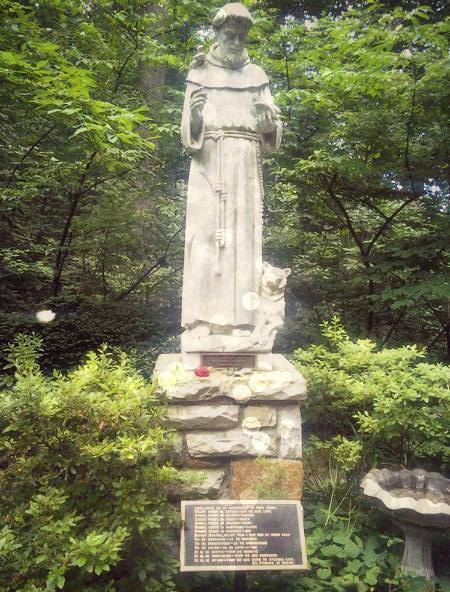 On the feast day of St. Francis today, I pray that we might all strive to be a brighter light in the lives around us. To bring peace, love, joy, and hope to those who need it most. And that when we find ourselves struggling, we may have the strength to turn our focus to others who are also in need and to find a way to help console them, understand them, and love them, even in the midst of our own struggles. Just to update all of you who have so kindly kept us in prayer throughout our journey of infertility and our miraculous pregnancy, everything is going very well! I am 36 weeks in my pregnancy this week and while I have loved being pregnant and feeling his little kicks and flips, we are so excited to meet him and hold him in our arms in a few weeks. Thank you again for all your prayers! For years I prayed for a baby. I prayed so hard and I cried each month when it didn’t happen. I didn’t know what to do when we were told it never would happen. I was devastated and prayed for a miracle. And I am so beyond blessed today to say that I am just about 30 weeks pregnant with my little miracle baby boy. I still can hardly believe it! Every time I feel him move, or listen to his heartbeat, or look at his ultrasound pictures, or see my own growing belly, I feel such joy, happiness, and thankfulness. And yet, despite the joy, it seems over the past month there have been numerous trials trying to steal that joy. Things that come up and cause stress and worry and pain (all amplified by the pregnancy of course). Things like my husband having to travel out of town again for work. Or like my dog getting a severe infection and requiring a last minute vet visit and several medications (not to mention the costs associated with this) all while my husband was out of town. Or my car (that was paid off mind you) going into the shop for what we thought were minor repairs only to find out the cost was outrageous and it was more economical to purchase a new (to us anyway) car. Or contracting a bizarre skin infection that has resulted in unexpected doctor’s visits, medicine, and a few added layers of stress. Why in the world did all this need to happen in the last trimester of pregnancy? Despite the joy felt by my husband and myself and many friends and family members over the new baby, there is one who is not happy about the new addition at all, and that is the devil. I am sure that the idea of new life never thrills him, especially considering how much effort he puts into getting others to end life here on earth through abortion, terrorism, suicide, murder, euthanasia. And the fact that this baby is nothing short of a complete miracle from God? Well I don’t think he’s very happy about our joy over all this. And I can’t help but think that maybe this same someone is watching these little trials come my way just waiting for them to take over so that the joy over this baby inside of me is replaced with worry, fear, anger, doubt. But I refuse to let that happen. Because when I take a minute to look at the big picture, there is far more to be thankful for than there is to be upset about. And those things that caused extra moments of stress? Well when I look at them compared to all our blessings, they are really nothing at all. It is hard when my husband has to travel. He is my best friend and I miss spending every day with him when he is gone. I miss making him dinners and having him beside me when I go to sleep. Of course I feel sad sometimes while he is away. But I am blessed to have him in my life, as my husband and as the father of our little baby coming soon. I am blessed that he is in good health. Blessed that he shares my faith and helps me grow stronger in it constantly. Blessed that he has a job in the field that he studied so hard for and that his job is one that is making a positive difference in our world. So if that job sends him out of town here and there, I can deal with that. Compared to all the good, that is nothing! Our dog getting sick was certainly not fun. (She ate something left behind by some stray cats that dogs are not supposed to eat…) But she was ok. And despite the stress it caused in the moment, it was a blessing that I had the time to take her as soon as she got sick. A blessing that it was nothing serious and that the medicine quickly helped and she is back to normal. A blessing that we have the ability and finances to go to the vet and take care of our little pup when needed. And a blessing that I still have her following me around, cuddling, taking walks with me. So who cares about a silly vet visit with all those blessings? It was so nice to have paid off my car. But you know what? We will make it just fine with the new payment. Things may be tough but there are many things we can do without when money is tight. We are blessed now to have a safe vehicle that we don’t need to worry about driving with the baby especially on long trips to visit family out of town. And we are blessed that we found out about the car issues while it was in the shop, not during a break down on the side of the road. The skin infection was truly random and caused the most worry out of all these. 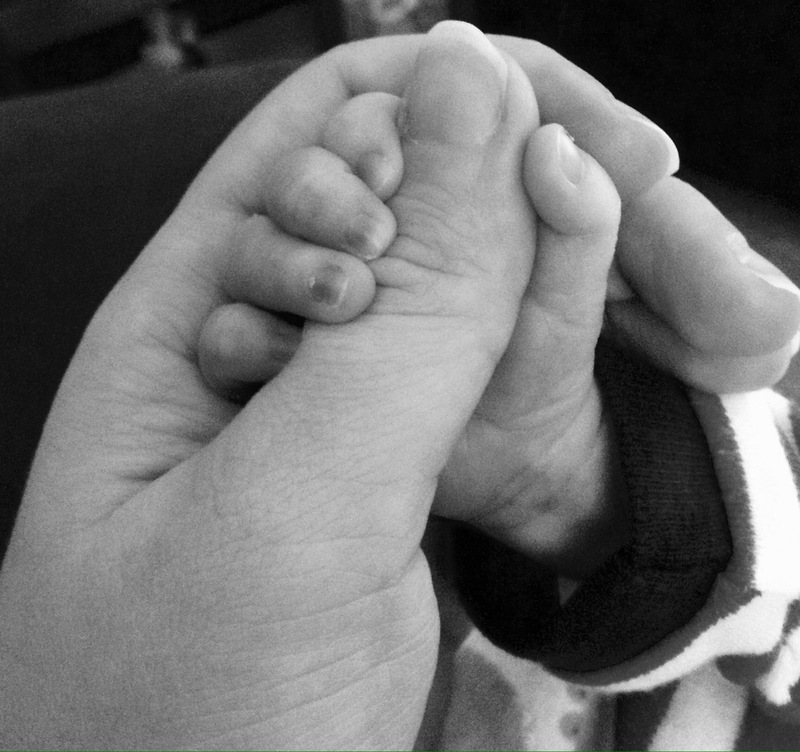 I was concerned about it affecting the baby and about the medicine I needed to take for it. But I am blessed that it was on my arm where I could easily notice it and have it taken care of quickly. Blessed that we caught it early enough that it remained topical and did not get to baby. Blessed that modern medicine has options for treating it that are still safe for me and the baby. And blessed that it is healing! When I sit down and look at all these blessings (not to mention other blessings we have like our family, home, food, running water, and countless more), I realize there is truly nothing to complain about. Nothing to worry or stress over. God is in control and has blessed us beyond measure. So although that thief of joy might be waiting for me to lose sight of my blessings and turn to negative thoughts instead, I refuse. When I feel myself getting overwhelmed or stressed, I will turn to prayer and to counting my blessings to keep things in perspective and to keep holding on to that joy. The joy that comes from having the Lord in my life, having Him beside me every step of the way, and from all that He has blessed us with.